It has been a hectic of couple of weeks. Between moving out of our house, the construction on our new house not being finished, our daughter starting preschool & just the regular everyday stuff, I have barely had a moment to think. We have had to slow down on our regular craft routine because we have limited supplies with almost all of our home still in storage. This morning before school, Mai asked if we could do a craft. I promised her that we would when we got home. 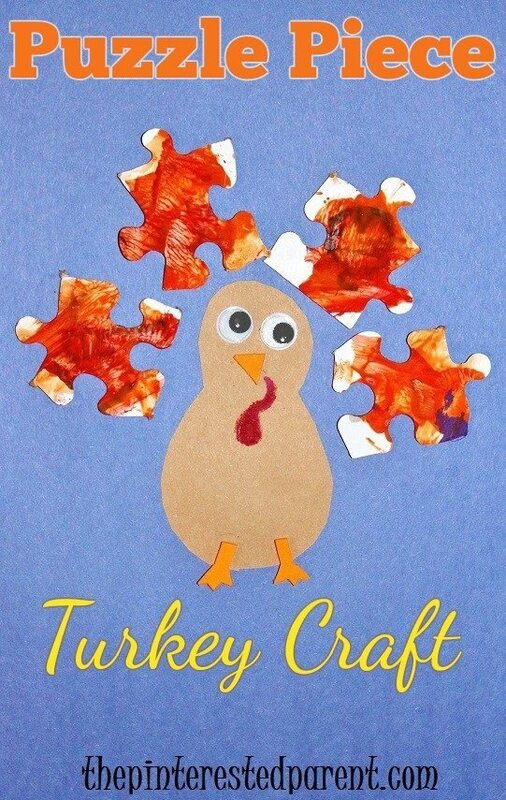 With Thanksgiving nearing, we decided to make another turkey craft and dug through our supplies to see what was available. 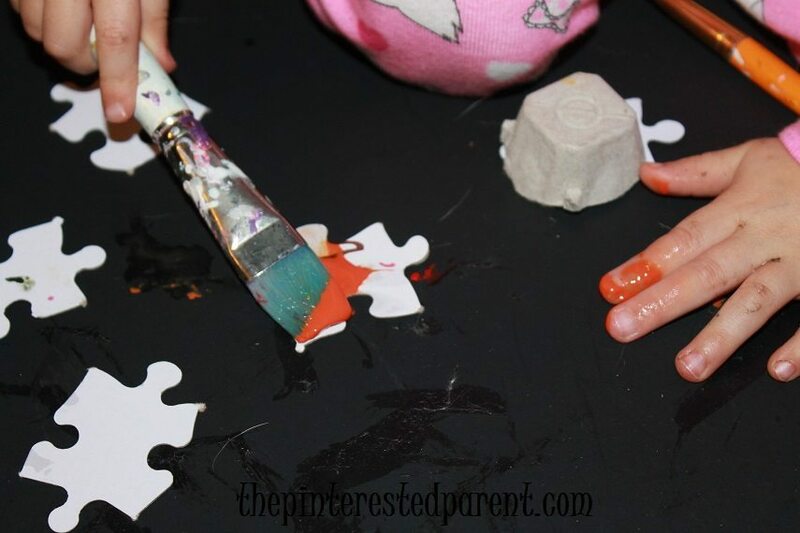 The first bag we came across had some old puzzle pieces in it & that is what we decided to use. 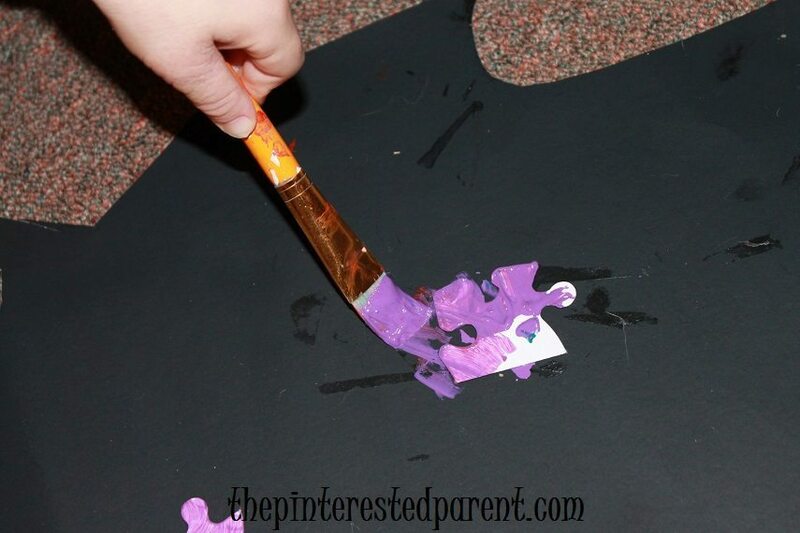 Paint your puzzle pieces in the color of your choice. Mai wanted purple, I chose red & Ashley chose to mix her colors. 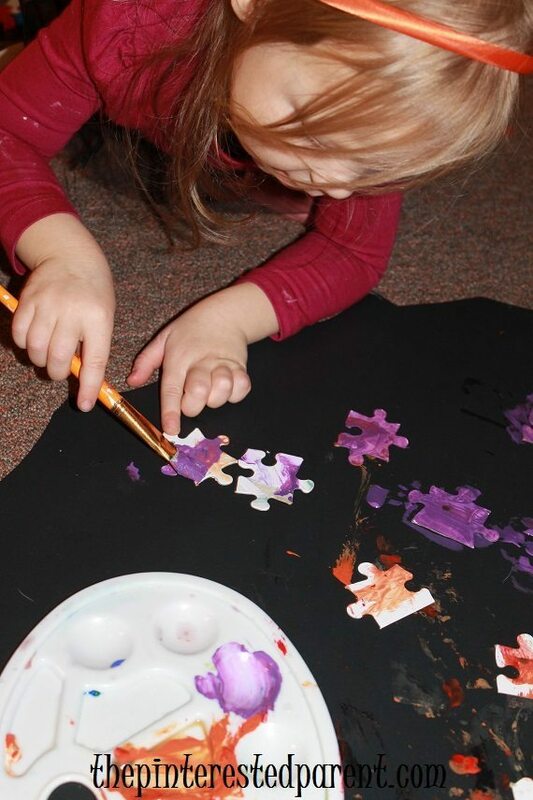 Ashley was so excited, she painted almost the whole bag of puzzle pieces. After you are done painting them. Let them dry. 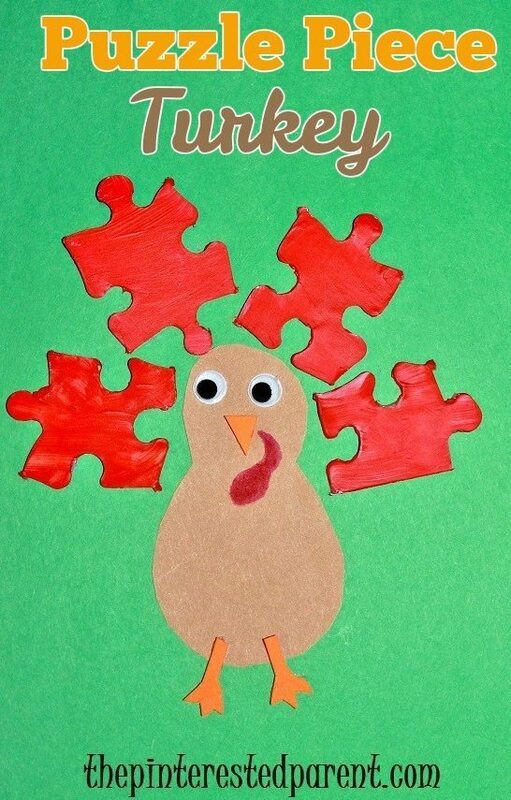 Cut the turkey’s body out of brown construction paper. Also cut out a beak & feet. 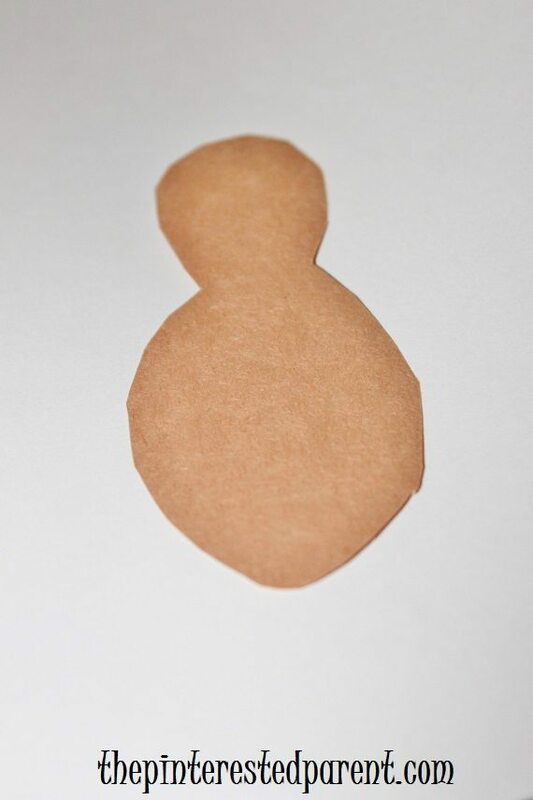 Glue the body onto a piece of paper. 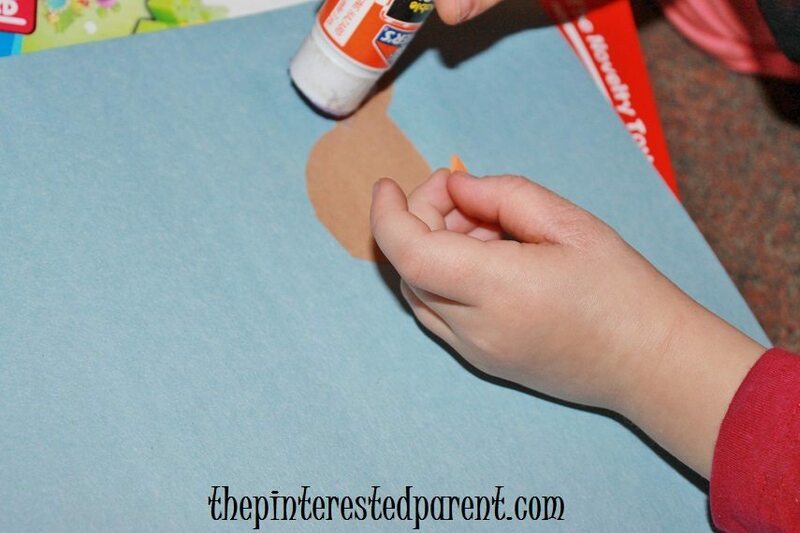 Glue on googly eyes, the beak & feet. 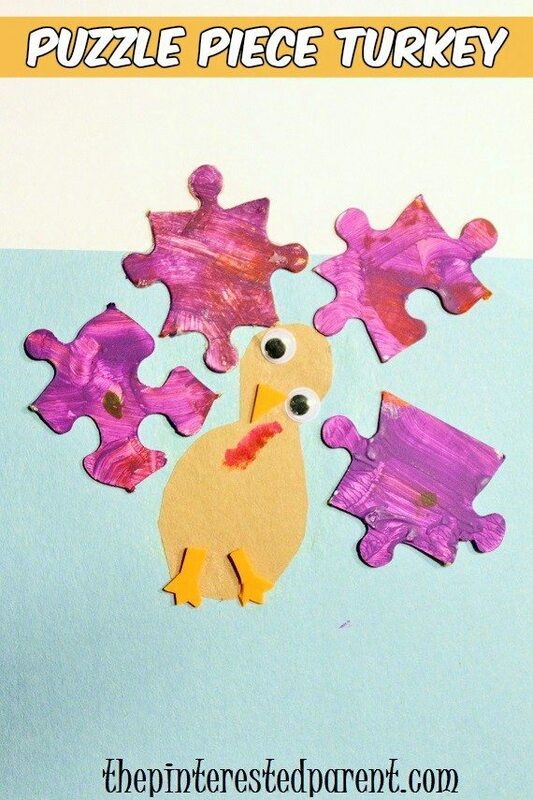 When your puzzle pieces are dry, glue them around the body to form the feathers. Draw in the wattle using a red marker. Mai made her whole turkey by herself. I did the bodies for me & a tired little Ashley. Such a cute turkey, but totally understand slowing up a bit with the house move. Thinking of you all!! This move is killing me. Ugh! 4 more weeks until our house is finished.